Cameroon – Ghana predictions – In the second semifinal match of the African Nations Cup will face the selection of Cameroon and Ghana, which are normally a place in this stage of the competition cope with a lot of passion and after the elimination of a team that had previously completed the first places in their group, and it is a Senegal and DR Congo. This is especially true of Cameroonians who are the first favorite of the tournament, Senegal, mastered only after a penalty, while Ghana on the other side in the quarter-final match against the selection of the DRC after goal in the finish won by 2: 1. Let us add that this is the third mutual view of the team, the team that both the previous two occasions, met at the African Cup of Nations, and in 2000, when it was 1: 1, and eight years later when Cameroon won with 1:0. This actually means that Cameroonians in recent history still do not know for defeat of Ghana, while this place in the semifinals of the African Cup of Nations after they won the previous four games recorded three draws and one win in 90 minutes, and in the second round group stage when the 2: 1 win over Guinea-Bissau. In the remaining two matches of this part of the competition they played 1: 1 against Burkina Faso and 0: 0 against the hosts Gabon, they also reached the place in the knockout phase, where they are then as runners-up in their group to get the first top-ranked opponent team Group B, or the first favorite of the tournament, Senegal. But, coach Broos are without any respect went into this game and one solid and disciplined game in defense, first played 0: 0 in 90, and then in another 30 minutes so that the winner had to decide penalties. And in the lottery are Cameroonians again showed character as they hit all five penalties, while on the other hand the best player of Senegal, Mane, missed the last five rounds and thus enable Cameroonians to be after a long time again find themselves in the semi-finals of a big tournament. As for the composition, only to recovered Mandjeck in the middle again should take its place instead Djoum. 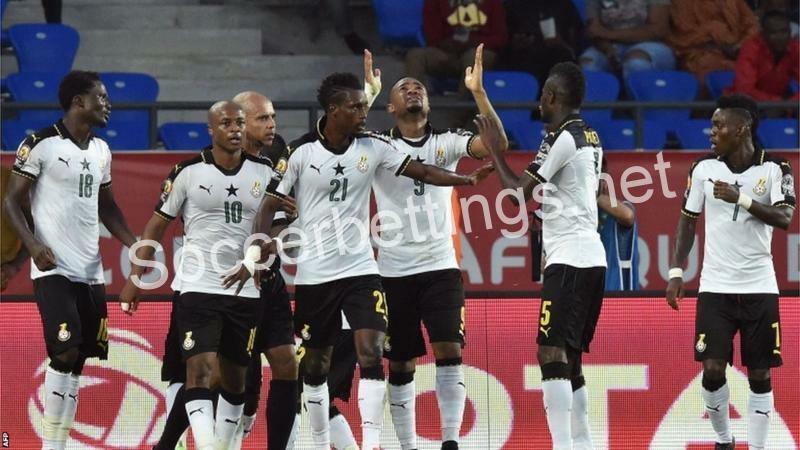 As for the current African vice-champions, they are unlike Cameroo in the previous four matches in this tournament managed to record three victories, but one defeat, and that of Egypt in the final third round group stage. 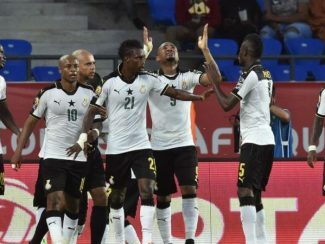 That is why Ghana and finished second in Group D, even though they previously with the 1: 0 win over Uganda and Mali, but in the end it all and did not turn out badly for the chosen coach Grant, because in the quarterfinals of the opponents get a selection of DR Congo, which was later defeated by 2: 1. However, it was not an easy job for the footballers of Ghana, because after conceding their opponents quickly and returned but the last 20 minutes entered with the score 1: 1, but it is 78 minutes from the penalty spot calm was Andre Ayew and his selection brought placement in another semifinal. Otherwise, in the match against the selection of the DRC national coach Avram due to injury could not count on an experienced striker Gyan, but it should now be fully prepared and therefore we expect that against Cameroon again plays with his favorite play 4-4-2. Of course it will, and here many as the first option to choose a small number of goals, but we still decided to give a slight advantage to the selection of Ghana, as they recently have somewhat more experience in these finals.